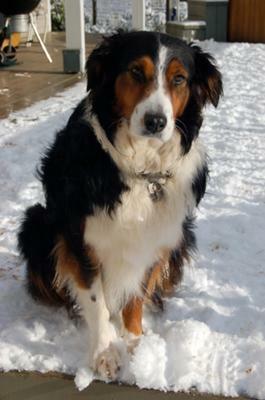 Our Aussie Kenzie is four years old and loves to chase sleds down a snowy hill. She will run all day chasing the children screaming with joy that a dog can keep up with their sled. Attached is a picture of her enjoying the snow. Hope you like it.